Pepper Trail is a contributor to Writers on the Range, the opinion service of High Country News. He is a writer and conservation biologist and lives in Ashland, Oregon. But in the context of climate change, the phrase “the new normal” is even more insidious — and dangerous. It suggests that the Earth has arrived at a new equilibrium, which is how things will be from now on. In fact, there is nothing “normal” — new or otherwise — about the world’s climate situation. 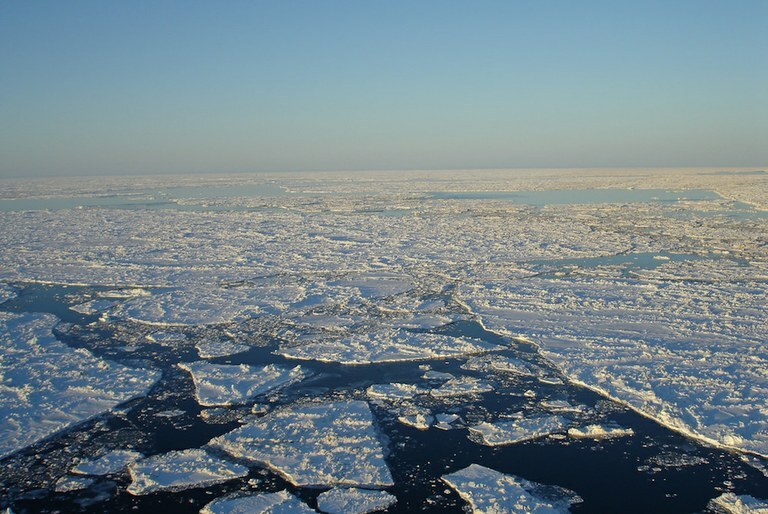 Climate changes is impacting sea ice habitat. This section of Arctic sea ice in fall 2016 was the lowest on record for those months since recordkeeping began in 1979. Even with zero emissions, getting back to what we might consider “normal” — the pre-industrial levels of 280 ppm — is “sort of a 10,000-year proposition,” according to Ralph Keeling, director of the Scripps Institution of Oceanography’s CO2 Program. And because of the enormous inertia of the planetary-scale changes that are underway, atmospheric equilibrium (when CO2 levels stabilize), geophysical equilibrium (e.g., sea levels, air and sea temperatures), and ecological equilibrium (when species are in stable new distributions) will all happen at different times. For example, the 30-foot rise in sea level that prevailed the last time atmospheric CO2 was as high as it is today would drown New Orleans, Houston and all the coastal cities of Florida. No one is ready to contemplate abandoning those cities — at least not yet. But we can, and should, do everything we can to avoid making the situation worse. For example, we could start enacting strict coastal development ordinances and no long offer government-subsidized flood insurance in low-lying coastal zones. Here in the West, we can respond to the predicted drastic increase in wildfires by adopting policies that limit further development in the “wildland-urban interface.” Such developments will require huge expenditures to defend from fire, and they will likely ultimately burn no matter what we do.